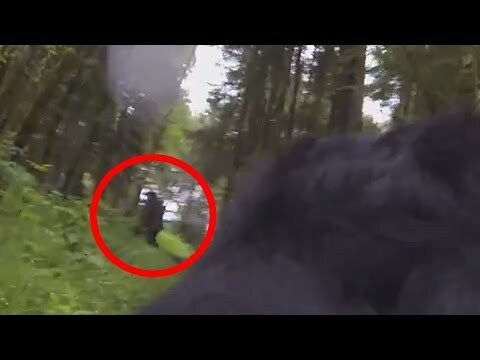 Home » CRYPTOZOOLOGY » Bigfoot Captured on Video? For those of you who are cryptid curious, we have for your viewing pleasure, a video from a GoPro strapped to the back of a dog. The pup is just strolling along while the video is rolling. Midway through this clip, the dog pauses for a second, then moves his head to the side. 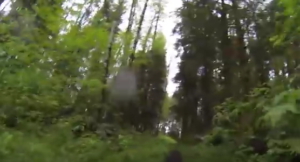 There is a figure in the middle of the trail that walks into the woods to the left. Could this be a Bigfoot? Maybe, maybe not. Every story I’ve ever heard of with a dog encountering a Bigfoot, the dog is usually pretty excited! Watch the video from the YouTube channel Bigfoot Encounters and judge for yourself.